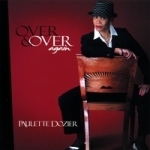 A successful voiceover performer, model, and professional actress, with a commanding presence onstage, Paulette Dozier is also an exciting vocalist with a sultry appeal. In Walked You, her third full-length solo disc, reveals the tender side of the singer in a wonderfully charming album that combines standards from Great American Songbook with pop classic and original tunes from the vocalist and longtime collaborator and friend, pianist Mike Levine. Dozier's smooth and sensual delivery seems to be a defining characteristic, distinguishing her from the plethora of female vocalists that dot the jazz landscape these days. Her approach to "The Days of Wine and Roses," "Autumn Leaves" and Billy Joel's "Just the Way You Are," shine new light to oft-recorded masterpieces, painted with new colors and feel. Her knack for scatting and the impressive musical support from Levine, electric violinist Nicole Yarling and bassist extraordinaire Jamie Ousley, among others, provide a stylish, light and pleasurable listening experience. Bobby Hebb's pop classic "Sunny" gets a fresh new treatment from Dozier, with amid-tempo romp aided by solid solo work from flautist Domenica Fossati, and the vocalist adding more sultry scatting for an interesting twist. John Fogerty's Creedence Clearwater Revival classic, "Proud Mary," is a rock tune rarely found in jazz circlesand yet, here, the singer leaves her softer side behind and comes out swinging with the help of drummer Sammy Levine, and alto saxophonist Jesse Jones Jr. providing the fiery edge. Harold Arlen's immortal "Let's Fall In Love" is one of the sweetest numbers of the set, with Dozier demonstrating her power and vocal range in a superb performance. The original "With You" and Seals and Crofts' "Summer Breeze" close out a truly breezy performance from one of the most unheralded jazz vocalists around. 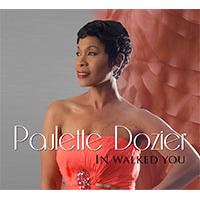 Whether displaying a mastery of beautiful ballads or churning out a swinging song with a measure of sizzle, Dozier crafts a splendidly enchanting musical statement on In Walked You, the kind of jazz vocals album that bears sampling often. Track Listing: The Days of Wine and Roses; Autumn Leaves; Just The Way You Are; In Walked You; Loving You; Together Yet Alone; How Am I Suppose To Live Without You; Sunny; Proud Mary; Let's Fall In Love; With You; Summer Breeze. Personnel: Paulette Dozier: vocals; Mike Levine: piano; Sammy Levine: drums; Jamie Ousley: bass; Nicole Yarling: electric violin (1); Richard Bravo: percussion (1, 2, 5, 8, 9); John Lovell: shekere (1),flugelhorn (10); Domenica Fossati: flute (5, 8); Ira Sullivan: flugelhorn (6); Jesse Jones Jr.: alto saxophone (9); Alex Berti: bass (11); Dan Warner: guitar (11). Title: In Walked You | Year Released: 2012 | Record Label: D Enterprises Inc.